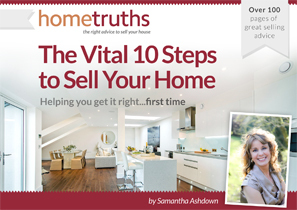 Off putting – If you were looking round a home, would you want the sellers on your heels? A seller presence can make buyers feel awkward. Buyers need to feel comfortable as they look at a potential home; it’s a big decision for them, and they really want to be able to snoop everywhere, whether this means looking in cupboards or peering out of windows. If the seller is standing there, buyers might feel reluctant to explore, and therefore might actually miss aspects of the property they’d be able to see if they had freedom to search without caution. This could be loss for them and you. Chatty – As much as you probably want to tell the buyers every exciting aspect of your home, less is sometimes better than more when it comes to a sale. Too much chatter can be off putting when they just want to look around and ask a few questions. Emotions – When it’s your home, it is easy to bring your emotions into the sale. A buyer could ask the agent a question about an aspect of the home they don’t like or want to change, and after the viewing could ask for a reduction in price. If the seller is at the viewing, they could presume the price reduction is due to the cosmetic changes, and will want to refuse to change the price. Emotions and house sales don’t mix. Are there any exceptions to being present at a house viewing? If you prefer to be at home during house viewings, sit in the garden or another room while the viewing takes place. This means that you’re around for questions if the buyers have any about personal aspects of the property. If you hear any negative comments, resist jumping on the defense, and see it as something that you could actually change to increase the chance of your home selling.